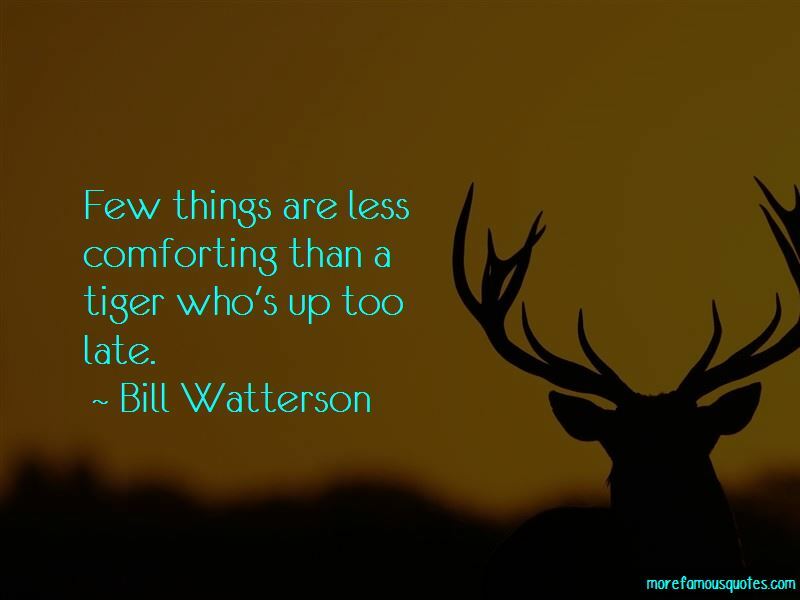 Enjoy the top 351 famous quotes, sayings and quotations by Bill Watterson. “You can't just turn on creativity like a faucet. You have to be in the right mood. Good friends are hard to come by.. I need more money. “Calvin: ME TARZAN! KING OF JUNGLE! Suzy: Nice underpants. Does your mom know you're over here like this? T ... For Tiger, ferocity of! U ... For Underwear, Red! P ... For Power, Incredible! E ... For excellent physique! “Susie: Hi Calvin! Aren't you excited about going to school? Look at all these great school supplies I got! I love having new notebooks and stuff! Calvin:All I've got to say is they're not making me learn any foreign languages. If English is good enough for me, then by golly, it's good enough for the rest of the world! Everyone should just speak English or shut up, that's what I say! You can take the tiger out of the jungle, but you can't take the jungle out of the tiger. The question is, how can you get the tiger back in the jungle? Today for show & tell, I've brought in some flash cards I made. Each card has a letter followed by several dashes. When I show the card, you yell out the vulgar, obscene or blasphemous word they stand for! ... Ready? ... She's such a hypocrite about building vocabulary. I enjoy the drawing more than the writing, so I try to think of ideas that will allow me to develop the visual side of the strip as fully as possible. Books are almost always better than the movies made from them, because there are things books do well and things movies do well, but usually those things don't overlap: the same with comics and animation. My whole problem is that my lips move when I think. 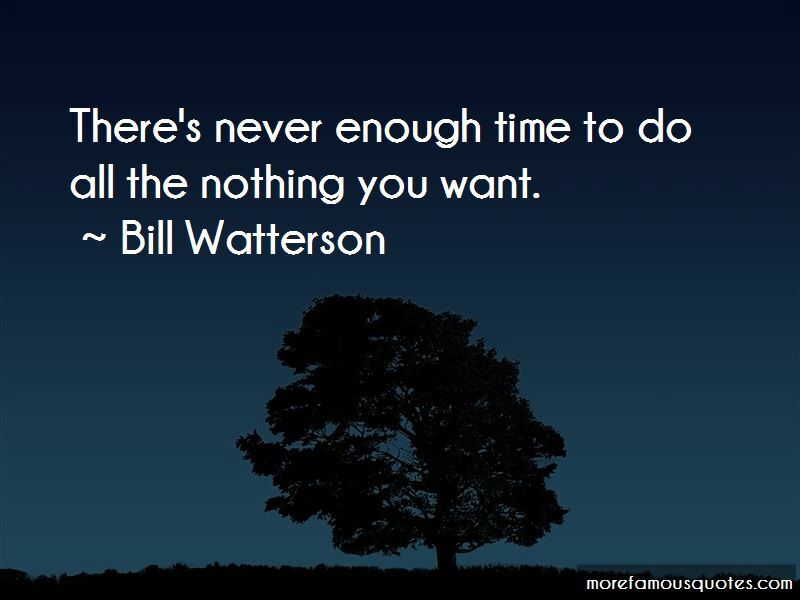 Problems often look overwhelming at first. The secret is to break problems into small, manageable chunks. If you deal with those, you're done before you know it. 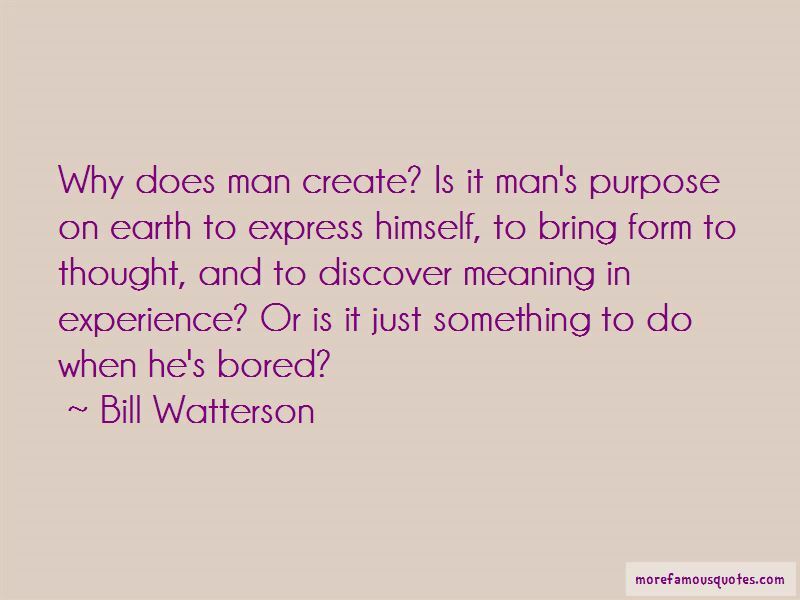 Want to see more pictures of Bill Watterson quotes? 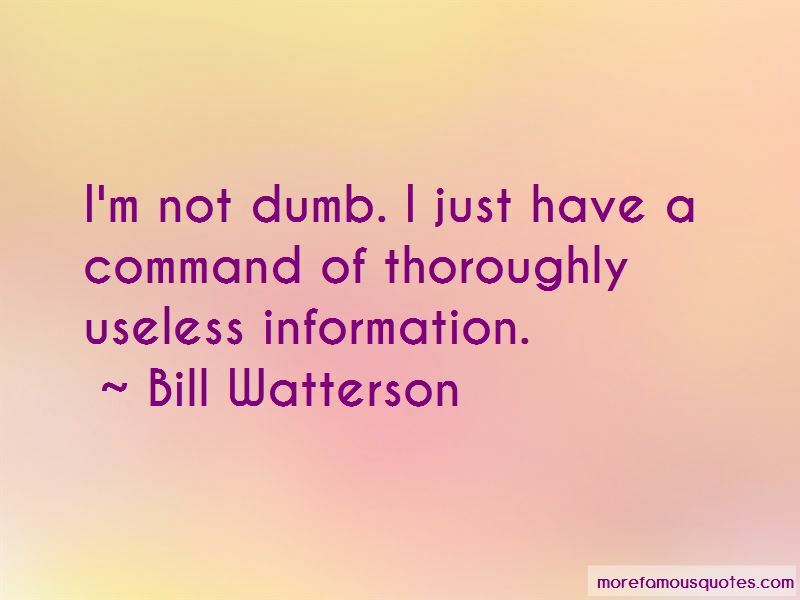 Click on image of Bill Watterson quotes to view full size.